You can, via the links below, book your equipment online, in the store of your choice closest to your home! You will find all our rental rates at the bottom of this page. Do not hesitate to contact us for any advice, special needs, etc. Skis or snowboard ready to use from Hameau de Flaine! Skis or snowboard wait for you by Flaine Forêt! You can also book equipment by phoning us! EXCELLENCE, PERFORMANCE, BACKCOUNTRY, DISCOVERY, SENSATION, ECONOMY adult range, CHAMPION, KID, MINI-KID for kids. Do not hesitate to contact us for a clever choice, special request, etc. Special rates apply for group bookings. 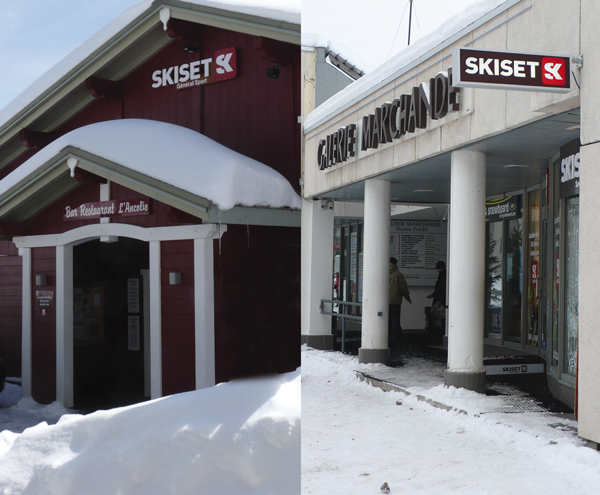 Général Sport also rents snowshoes and ski touring equipment. Don’t forget to take out breakage and theft insurance against your rental equipment! We would also advise that all children wear a helmet ! for longer rentals thank you for contacting us.